From #BQSummit, #2eNews, #BridgesAcademy, #BrightQuirky, #Parenting, #OliviaMartinezHauge Some children make it difficult to connect, but figuring out how to connect is so important. From #BQSummit, #2eNews, #BridgesAcademy, #BrightQuirky, #Parenting, #OliviaMartinezHauge What better gift to your child than being a good role model so they can know they can have a little space to rest and recharge? From #BQSummit, #2eNews, #BridgesAcademy, #BrightQuirky, #Parenting, #OliviaMartinezHauge CARE C is having compassion for yourself. A is meaningful activities. R is rest to recharge the brain and body. E is knowing that good enough is good enough. From #BQSummit, #2eNews, #BridgesAcademy, #BrightQuirky, #Parenting, #OliviaMartinezHauge Teachers break down problems in math, but we’re not doing that with ourselves, our bodies, expectations, behaviors, sensory needs. We need to teach and not just to expect. From #BQSummit, #2eNews, #BridgesAcademy, #BrightQuirky, #Parenting, #OliviaMartinezHauge It’s very important to have a regulated and attuned relationship between parents and children. From #BQSummit, #2eNews, #BridgesAcademy, #BrightQuirky, #Parenting, #NicoleTetreault Meditating is as important to your health as exercise is. Limit distractions. Having a phone nearby reduces your cognitive ability by ten percent. 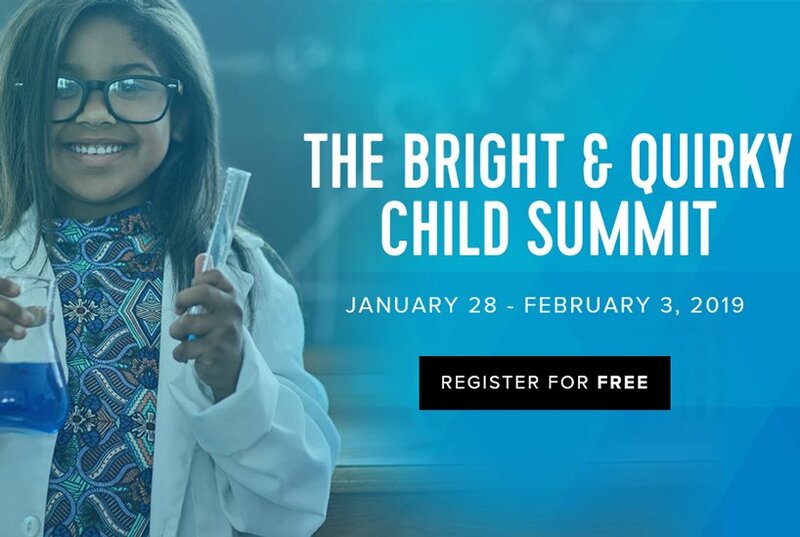 From #BQSummit, #2eNews, #BridgesAcademy, #BrightQuirky, #Parenting, #NicoleTetreault The most important thing you can do with your child is to listen, not to attach to the deficit piece, but to the extraordinary parts of them. From #BQSummit, #2eNews, #BridgesAcademy, #BrightQuirky, #Parenting, #NicoleTetreault Between 14 and 17 we have rapid brain growth that’s asynchronous. The frontal cortex, where executive function happens, doesn’t fully develop until the mid-20s. From #BQSummit, #2eNews, #BridgesAcademy, #BrightQuirky, #Parenting, #NicoleTetreault Fast food has no nutritional value and causes bad bacteria to grow in the gut and that causes a negative gut-brain interaction. From #BQSummit, #2eNews, #BridgesAcademy, #BrightQuirky, #Parenting, #NicoleTetreault When you’re in creative or mental flow, you use up a lot of glucose in the brain and that can appear as seeming to be out of it or crankiness. From #BQSummit, #2eNews, #BridgesAcademy, #BrightQuirky, #Parenting, #NicoleTetreault We have neurotransmitters that are made in the gut. There is a relationship between the brain and the microbes or gut bacteria that breaks down foods. It affects behavior. From #BQSummit, #2eNews, #BridgesAcademy, #BrightQuirky, #Parenting, #NicoleTetreault Normal is a moving line. Neurodiversity is the new normal. There aren’t 80 regions of the brain, but 180 or more. Knowing that, we can open up to quirkiness of different brains. From #BQSummit, #2eNews, #BridgesAcademy, #BrightQuirky, #Parenting, #NicoleTetreault What we think of as certain behaviors could be reactions to environmental triggers. There’s no two people who have the same way of navigating in the world. From #BQSummit, #2eNews, #BridgesAcademy, #BrightQuirky, #Parenting, #KateArms, #JenMerrill JM It never gets easy, but it gets easier. The kids mature and we get better at it. From #BQSummit, #2eNews, #BridgesAcademy, #BrightQuirky, #Parenting, #KateArms, #JenMerrill JM It comes down to leading by the side not from in front. You are the expert on your kid. If it doesn’t work, don’t do it. Manage expectations. Forgive yourself if it doesn’t work. This year’s summit ran for seven days, beginning January 28. Content was free to the public each day for 24 hours but still can be accessed via a site subscription. There were approximately 4-5 talks per day. An All Access Pass is available for purchase for those who would like to watch the series at their own pace. All Access Pass holders can also opt in for a free three-month trial of The IdeaLab, an online 2e support and learning community, where parents and summit experts can interact on an ongoing basis. 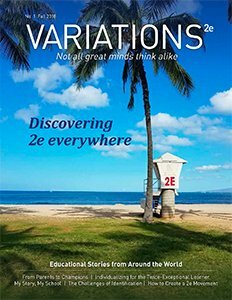 2e News is the online home for the latest news, features, opinions, and research around neurodiversity and twice-exceptional education.